Meera joined Caisson in 2014 from Jones Lang LaSalle as a Finance Manager working closely with the Finance Partner, Michael Newman. 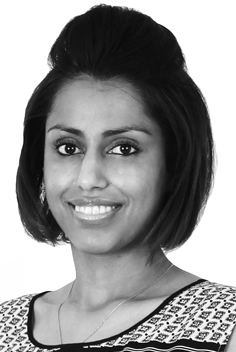 Meera began her career in 2007 at JLL in the Property & Asset Management department working on the accounting and reporting function for key clients including Standard Life, Hermes, and London Bridge Holdings. Meera subsequently moved to join Jones Lang LaSalle Corporate Finance (JLLCF) where she worked as a Fund Accountant on Private Equity Real Estate funds. Here she managed the accounting function for nine private equity funds, which involved liaising with high net worth investors, joint venture partners, and debt providers for each fund. Meera also took on the role of Company Accountant for JLLCF with responsibility for the accounts of the corporate entity. Following three years with JLLCF, Meera joined the JLL UK Finance Team as Management Accountant where she acted as Finance Business Partner to the Property and Asset Management Team. This breadth of experience enables Meera to understand the different reporting requirements of Caisson’s investors.